2 images. 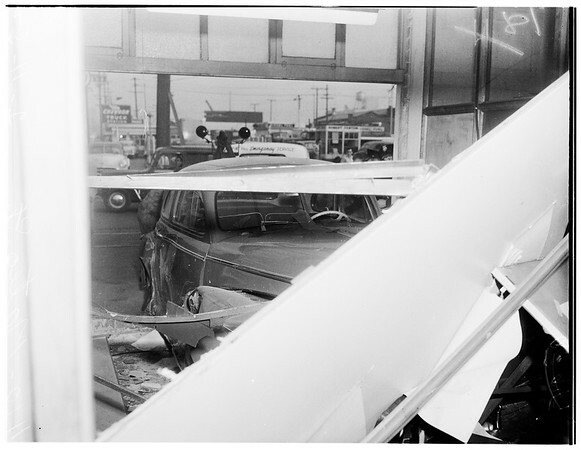 Car crash at 1100 Mateo Street, 11 February 1952. Kenneth Sherman -- 28 years drove car through window. (Sleeve states "A-9472").